This set offers a complete guide to world trademark law and practice, with detailed coverage of 35 major jurisdictions and summary coverage of another 100. Also available on Authority Intellectual Property Law Library CD-ROM. 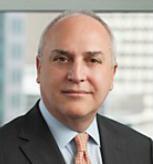 Listed as one of the top 50 trial lawyers in the United States in Law360’s "Trial Aces," and included in Euromoney’s Guide to the World’s Leading Experts in Patent Law, and Euromoney’s Guide to the World’s Leading Experts in Trademark Law, Ethan Horwitz has more than 25 years of experience as a first chair trial and appellate lawyer across the full range of intellectual property law. He litigates and advises clients in the full range of intellectual property matters in the United States and internationally. 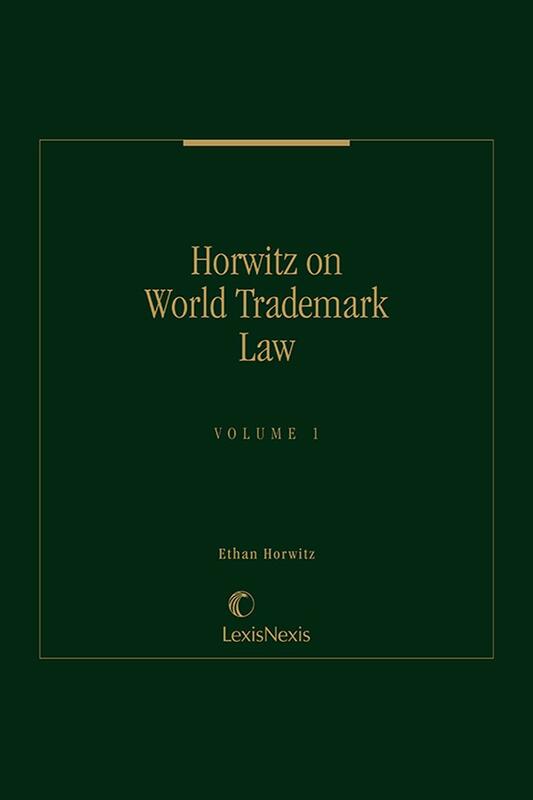 He is the author of four treatises by LexisNexis, including the three-volume Horwitz on Patent Litigation and five-volume Horwitz on World Trademark Law. He was described as a “fantastic trial lawyer” in World Trademark Review. Mr. Horwitz has long represented clients in significant electronic, chemical, and mechanical patent cases, including a case in which he obtained the first-ever preliminary injunction on a design patent on behalf of Oscar Mayer, defending its Lunchables product against Sara Lee. Mr. Horwitz also has represented Miller and Molson, who were accused of violating Labatt’s patent on the process for making ice beer. Mr. Horwitz represented Spansion, a flash memory fabricator in one of the largest International Trade Commission cases in history, involving a two-week trial on two patents – one on the construction of a flash chip and the other on the programming of a flash chip. He has litigated and advised clients regarding a variety of technologies including computer software, telephone logging, Voice-over-Internet Protocol, computer vision, video compression, brewing, pharmaceuticals, food chemistry, chemical processes, skin transplants, antioxidants, and simple mechanical products. 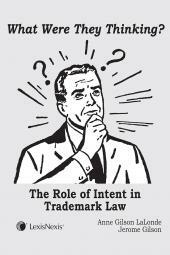 Mr. Horwitz has also tried numerous trademark, trade dress, and dilution lawsuits. These include representing Pepperidge Farm in a landmark case that resulted in a preliminary injunction based on Pepperidge Farm’s rights to the shape of its Goldfish cracker. This case was among the first to issue a preliminary injunction based solely on a dilution claim. 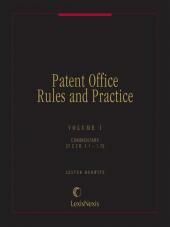 In other trademark and trade dress cases, he defended Lotus’s mark “Notes” against an attack by Borland; Kraft’s trade dress for its Singles product against infringement by Borden; and Kraft’s trade dress and trademark for its Philadelphia Cream Cheese product from infringement by Bongrain. He also defended Cosmair (L’Oreal) and Ralph Lauren in an action brought by Calvin Klein to enjoin their new fragrance, Ralph Lauren Romance. He defended JPMorgan Chase's adoption of its name after its merger against a claim of infringement by the owner of the mark Morgan Chase. Additionally, he defended JPMorgan Chase's use of Freedom Card from a claim of infringement by former executives of the Freedom National Bank of Harlem; the judgment was affirmed by the Third Circuit. In false advertising cases, Mr. Horwitz represented Kraft’s Jell-O gelatin and stopped Del Monte from calling its product “Gelatin Snacks.” The snacks were actually made of carrageenan, which is commonly described as gelatin though it fails to meet the technical definition. In addition to many court actions involving false advertising, he has brought and defended cases before the National Advertising Division of the Better Business Bureau and its Canadian and German equivalents. In copyright cases, Mr. Horwitz represented Joe Simon, a co-author of the comic character Captain America, against Marvel Comics and won a landmark Second Circuit case holding that Mr. Simon could sue to recover his copyright from Marvel. In another case, Mr. Horwitz’s client, Colgate, was accused of copying Procter & Gamble’s advertising for Crest toothpaste. The respective ads were used by both companies in many countries around the world. 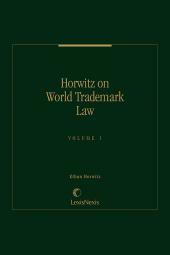 Mr. Horwitz argued the case before the National Copyright Administration in Beijing, and then tried to a verdict for Colgate, which was affirmed by the Second Circuit. In another copyright case, J. Walter Thompson and Northwest Mutual Life were accused of copying Chase Manhattan’s advertising. Mr. Horwitz resisted a preliminary injunction and created new law that a preliminary injunction could be refused based on the movant’s delay alone. In addition, he has extensive experience handling the unique issues related to computer programs protection, including litigating the related copyright and patent issues, and helping to develop compatible programs that do not infringe the basic program. He has advised clients on establishing worldwide protection for their intellectual property, and has set up and implemented anti-counterfeiting programs for clients, including Timberland and David Yurman. Mr. Horwitz has also advised clients regarding the launch of products and/or advertisements to ensure that they do not violate the intellectual property rights of others and to ensure that all claims are substantiated. 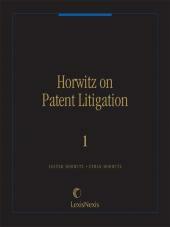 Mr. Horwitz has extensive experience in appellate work as well. He has argued appeals in such courts as the Federal Circuit, the Second Circuit, and the New York Court of Appeals, and in administrative settings, including the Patent Trial and Appeal Board. Some of his appeals involved landmark decisions relating to reversionary rights under the Copyright Act, the status of well-known marks, and issues of attorney-client privilege in patent cases.